Few marketers would admit to valuing quantity over quality—or volume over effectiveness—when it comes to content. And yet for many, their actual output tells a different story. That constant drive to expand content, to saturate the market, to produce more, more, more, it’s like marketing’s version of gravity—a constant but unseen force that we never consciously notice. Unless we’re mindful about process, strategy, and results, our content volume will continue to grow. And what’s so bad about that? 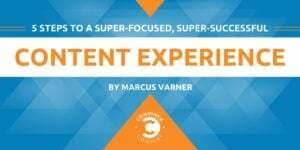 According to Shelly Lucas, an Austin-based B2B content marketing consultant, when you create too much content, “it doesn’t get used, the quality is lower, and optimization falls by the wayside.” And it becomes less focused, targeted, and effective as a result. They don’t have a content strategy (or they don’t stick to it). What they produce isn’t getting the results they want or expect, so instead of testing and optimizing, they create something different. What they create is working, and everyone wants a part of it. A certain critical mass of content is needed to feed digital campaigns. These are all compelling forces to reckon with, but they can be overcome with five simple practices and changes in perspective. In all three cases, these barriers make it difficult to get the right information into the hands of the right people at the right time. Content teams are usually too overloaded to deal with a laborious process for tracking down the performance results of their most recent releases. With a dozen deadlines always looming, they have no choice but to move on to the next piece, more or less blindly. But what if all teams with a content-related role shared the same work management and reporting tool, with all relevant information gathered into a single source of truth? When this is the case, content marketers always have the latest analytics at their fingertips before they start a new campaign, ebook, or video. They have the intelligence they need to pivot and react in real time, effectively building upon past successes and avoiding recent failures. This, of course, requires the CMO or another department leader to recognize the benefits of unifying all teams into one solution and appoint someone to start the discovery process of finding the right tool. It will take some up-front effort, but it’s worth it in the end. We can start by shifting our mindsets to be more customer-focused, rather than relying too heavily on internal talking points. This can be done by following our personas on social media, hanging out where customers congregate online (whether that’s LinkedIn, Instagram, Twitter, etc. ), interviewing actual customers, and other similar practices. 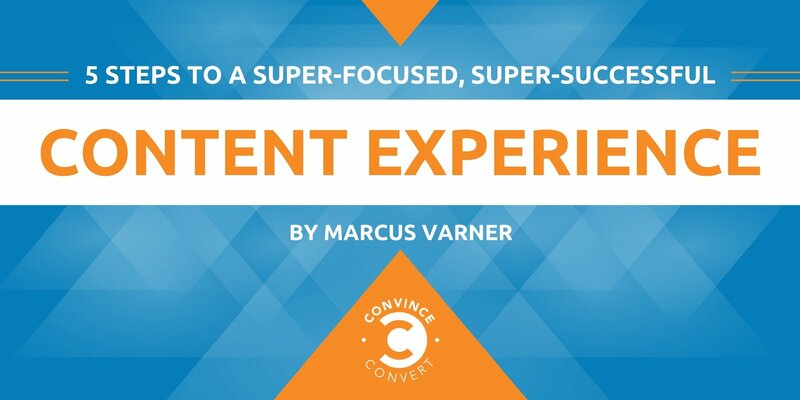 We can then use these discovery experiences to compile a list of questions that real customers and prospects need answers to—and design a content experience that satisfactorily answers those questions in the right order and the proper place in the funnel. Sometimes we think we know our customers’ most pressing questions and needs, and it’s easy to let our perspectives be colored by existing company assets and internal assumptions. But time spent in the field listening to actual customers has a way of bringing us back to reality. It’s not good enough to simply consult that list of customer questions on a semi-regular basis, as we churn out an ever-expanding library of assets. Instead, we should use the questions to build a strategic content map that’s clearly documented and easily shareable with all who have a hand in content creation. As you engage in this process, you’ll quickly identify those old assets that have no place in your new plan—making it glaringly clear how much dead weight you’ve been creating and carrying around. That’s one way to do it. Here’s another. To maintain engagement with his current readers and audience. To bring in new readers via the usual SEO-originated traffic. Lucas and Warfield have differing approaches to strategy, as they should, given that they serve different consumers in different markets. The point is that they both have a strategy that informs a documented content map, and they stick to the strategy. He’s not talking about characters here—heaven knows there’s lots of bloodshed in the typical King novel. Rather, he’s referring to the importance of brutally editing your own work. Just because you adore a particular sentence or turn of phrase that you’ve crafted doesn’t mean it serves an effective purpose. When it doesn’t advance the plot or reveal character, you have to kill it, no matter how brilliantly worded it is. And the truth is, it hurts much less if you eliminate the sentence yourself rather than having someone else swoop in and excise it. The same principle applies to your content experience as a whole. Every team that produces or owns content is going to have their favorites—pieces that they spent a lot of time on, that they’re particularly proud of, or that they’ve otherwise invested attention and affection in. Even if the piece is a dud in terms of performance or it doesn’t fit customer needs, some of us still cling unreasonably to pet content pieces. You can’t create a stellar content experience without weeding out the bad stuff or the stuff that no longer fits. Someone is going to have to make those tough calls. If you can’t handle it at the team level without starting a civil war, turn to the overall content strategy as defined by management. Whether it’s a director of marketing, a marketing VP, or a CMO, the person driving the ship has to be the one to lay down and enforce the rules regarding which darlings will be sacrificed to create a better content experience. “88 percent of the top performers measure content marketing ROI, compared to 72 percent of the overall sample and 56 percent of the bottom performers,” according to the B2B Content Marketing report, which highlights benchmarks, budgets, and trends in North America in 2017. Indeed, without regularly looking at the ROI of your content efforts, there’s no objective way to know which darlings to kill (who wants innocent casualties on their conscience? ), you can’t effectively refine your strategy and content map, and it gets ever harder to break away from the company talking points and look at your work from the customer’s viewpoint. No content experience is going to be flawless out of the gate, no matter how many brainstorms or rounds of review you go through. Only a strong routine of gathering and discussing performance data for each link in the content experience will allow you to locate and strengthen—or eliminate—the weak links. And no, you don’t have to squeeze in extra meetings in order to share performance data, which will only be forgotten or lost soon after the meeting. A silo-smashing work-management solution, as mentioned in tip one, gives you an easy way to disseminate analytics to all stakeholders and participants. Plus, your ROI data will be permanently archived alongside all other relevant project information for easy retrieval later. Are you comfortable following the path of least resistance, which usually results in sprawling, unfocused, ever-proliferating content—the “more is more” approach? Or would you rather adopt a “less is more” mindset, devoting your energy to creating lean, mean, unforgettable assets—and fewer of them? Unlike so many other aspects of content marketing, there’s just one right answer here, and you’re only five steps away from making the right choice for both your customers and your team.